As someone who literally spends my entire workday with a web browser (or three) open on my computer and as someone who builds web applications for a living, I expect a LOT from my browser. I expect it to be extremely fast, stable, have the powerful features I need and all the while I expect it to stay out of my way as much as possible. I don’t wanna see it, I don’t wanna think about it, I just want it to show me the web and then get out of my way. Super fast to start up and to load pages. I mean really… it’s quick. Minimalist design. Slim, unobtrusive toolbar. This is one of those things that drives me absolutely nuts about most people’s browser setups. By the time they have their huge navigation toolbar, URL box, search box, bookmarks toolbar, Yahoo toolbar, Google Toolbar and the status bar across the bottom, they’ve taken up nearly a third of their available screen space! Do you want to see the web or your browser? Chrome updates itself silently, behind-the-scenes. Yes, you read that correctly. You won’t even realize it’s happening. This is one area where Microsoft could take a hint: I want the latest and greatest features, security patches and bug fixes as they are released but I don’t want a bubble popping up to tell me I need to update, I don’t want to be forced to wait and I certainly don’t want to restart my browser. Chrome updates just happen silently, which is important because they can (and do) push out updates more frequently without constantly nagging me to update my software. Ingenious tab functionality. This is HUGE for me because I always juggle lots of different pages in a dual monitor setup. I always have gobs of tabs open. For example one page that I’m developing, a few reference pages, one for deployment requests, Twitter, Google Reader, Gmail… you get my drift. If I want to move a tab to a separate window, I can just click and drag the tab out of the existing window and Chrome is smart enough to create a new window for me. The opposite is also true. It sounds like a minor deal, but it’s very intuitive and it’s a huge usability improvement. Creating desktop versions of web-applications. Think about this scenario: if I want to have a certain website like GMail, facebook, Reader, Pandora or Google Docs open all day. I don’t necessarily want to run all these things in tabs in my browser because it crowds my workspace. In fact, I don’t even really want to use them like a browser at all. Essentially I want to be able to switch back and forth from GMail and my browser as if they were two separate applications. Well, with Chrome I can do just that. Chrome lets you turn web-applications into a desktop applications and you can run them alongside your browser just like you would by having Outlook open all day. You can just run GMail as a separate application separate from your browser. This is a very powerful feature that I started using about a year ago on my mac with a free app called fluid. It will change how you view web-applications. I could easily go on and on. There are so many cool features: the combined search and URL box, the “speed dial” homepage, the fact that viewing the page source will open a new tab, the built-in element inspector, the tight security, etc, etc. 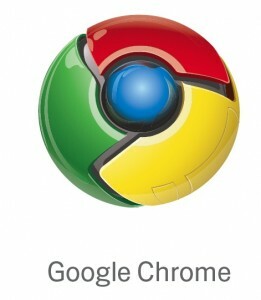 Google is also giving away all it’s secrets by open-sourcing the browser through the chromium project. My only complaint is that Chrome doesn’t support addons yet, only because as a developer I often want some advanced functionality such as firebug. But, according to Google extensions are coming. If you haven’t already. Get Chrome and set it as your default browser… you won’t regret it. If you have a higher tolerance for bugs and you want to test some of the advanced functionality coming to Chrome check out my other post about how to get the beta and development versions of Chrome.